Although analyzing the rich subtext and messages of the franchise can be genuinely rewarding, sometimes its just way more fun to nitpick the superficial details. Like, say, the costumes. This week hosts Cam Smith and Tyler Orton, along with special guest Penny Daflos, channel their inner fashion critics and examine the most prominent uniforms of the last fifty years. 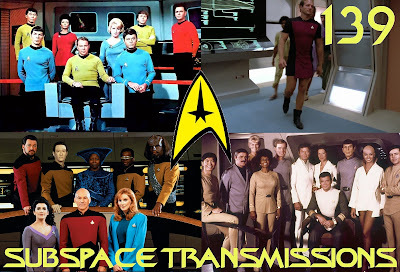 From the highs of TOS, season 3 TNG and the Wrath of Khan, to the lows of the Motion Picture and the Starfleet skant, the trio separate the Star Trek fashion dos from the appaling don'ts. Wanna appear on the show? 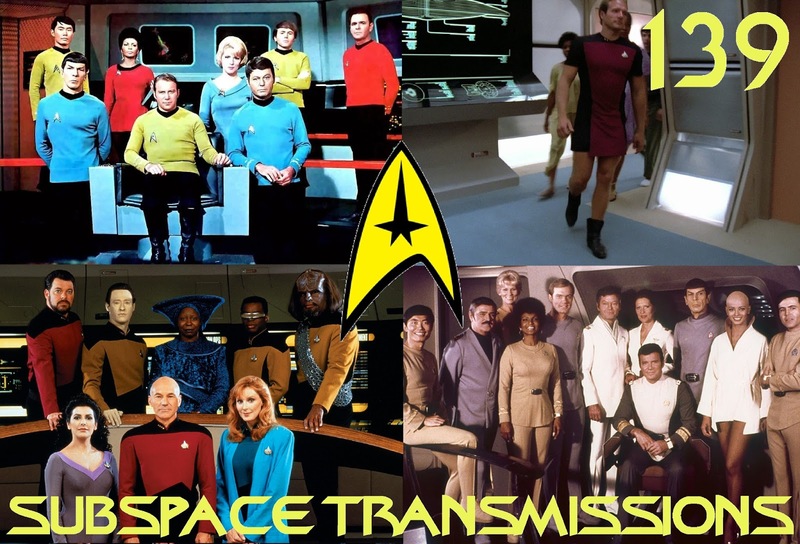 Shoot us a 30 to 60-second audio clip telling us your picks for the BEST & WORST STAR TREK UNIFORMS and you could take the spotlight in an upcoming program! You can also send any other questions, topic ideas or feedback to subspacetransmissionspod@gmail.com! Join us next week as we celebrate Mother's Day Trek-style!